I’ve seen a lot of interesting stuff as of late that relates to Eclipse technology being used in academia. 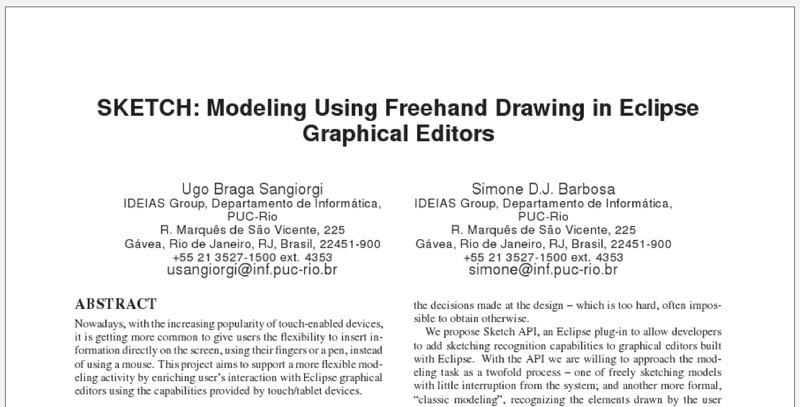 For example, Ugo Sangiorgi has been working on a position paper around the Sketch project for FlexiTools 2010. For those living in academia, what do you think? What would benefit you? Next Post →Eclipse is Trending!